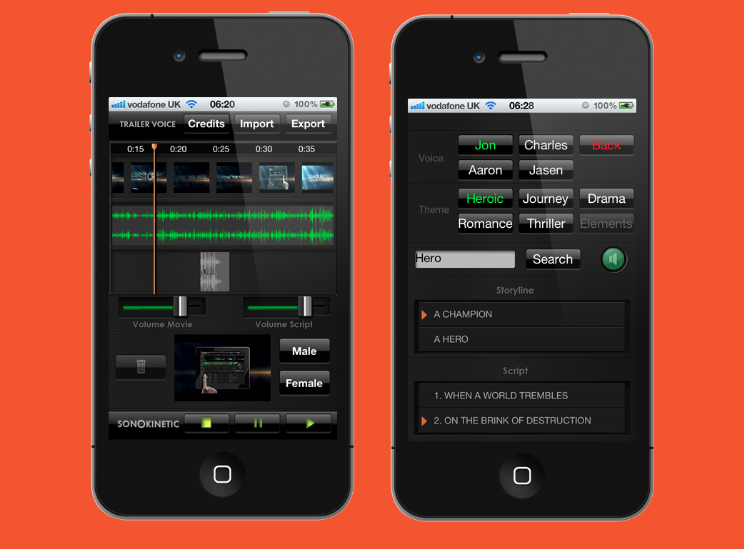 Trailer Voice App, Other software for iPhone / iPod Touch / iPad from Sonokinetic. Sonokinetic has announced the release of the iPhone version of the Trailer Voice App that was released for iPad a few weeks ago. Use US movie industry voice talents to create a voice-over for your own videos. Import your movie from the camera roll and drag/drop words and phrases from over 50 full scripts and 100s of phrase elements in the interface. 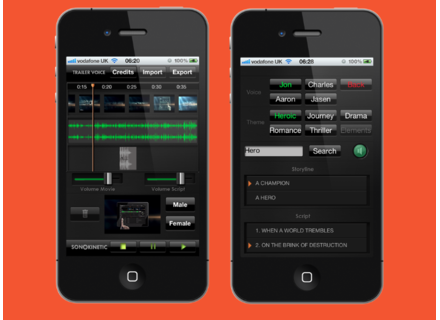 Mix and match 6 different Pro voice talents with categories such as Heroic, Journey, Drama, Romance & Thriller. Preview phrases with one touch. Adapt phrase timings and adjust volume levels of both the original video and your voice-over to customise your mix. Export your movie to the camera-roll to share with friends. Available now on iTunes for $3.99. For demos and more information click here. VSL Vienna MIR PRO 24 The Vienna Symphonic Library announces the release of Vienna MIR PRO 24. 112db Big Blue Compressor 112dB has announced that Big Blue Compressor, a tube-modeling compressor, is now available.